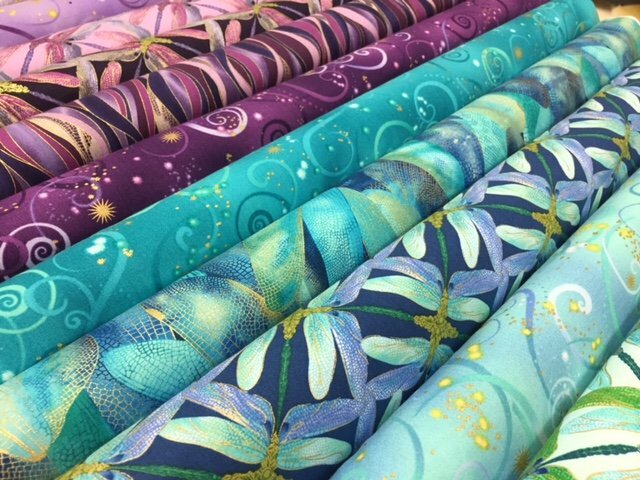 Exquisite printing, beautiful colors and design, lovely theme - Dance of the Dragonfly has all the makings of a fabric classic. 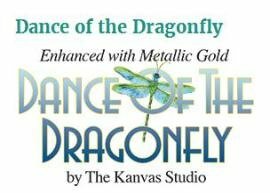 The printing on these prints is truly extraordinary: take a look at the very fine gold accents - so difficult to achieve! 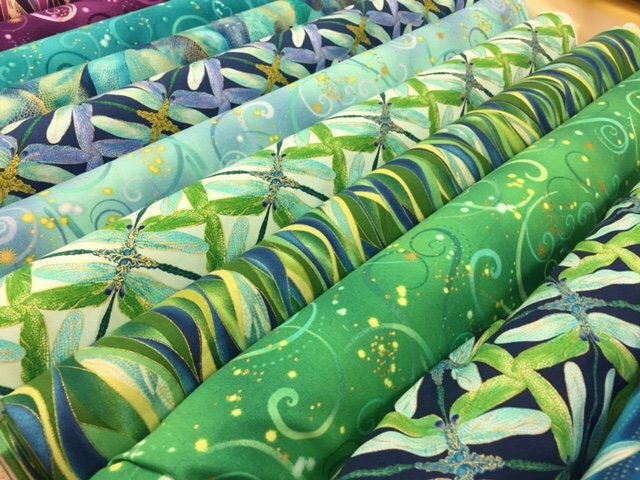 Dragonflies flit among the waterlilies, or fly in a night sky filled with stars. 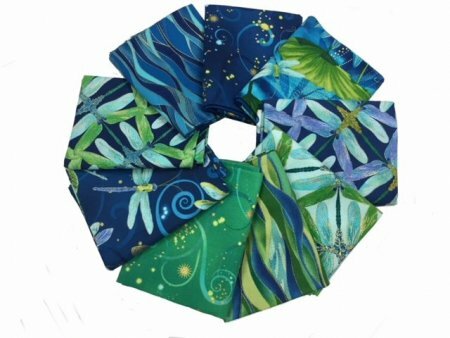 The collection includes a closeup of intricate dragonfly wings, an abstract water stripe, and a unique geo-print created by dragonflies wing to wing. 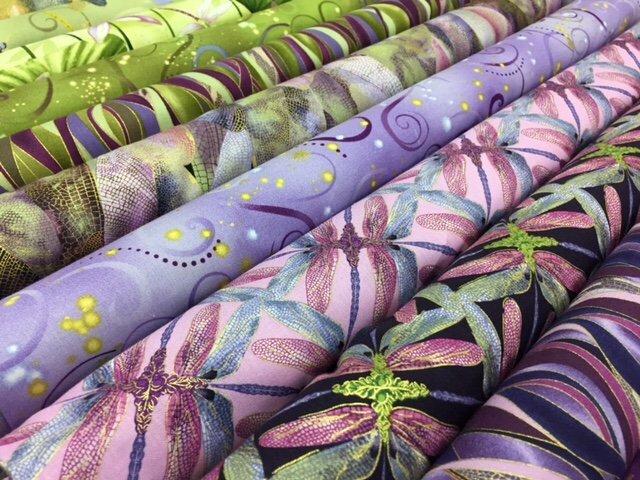 In two luscious colorways: blue/green and gold/purple.